Wonderful and delicate Liquor Cream of Limoncello. 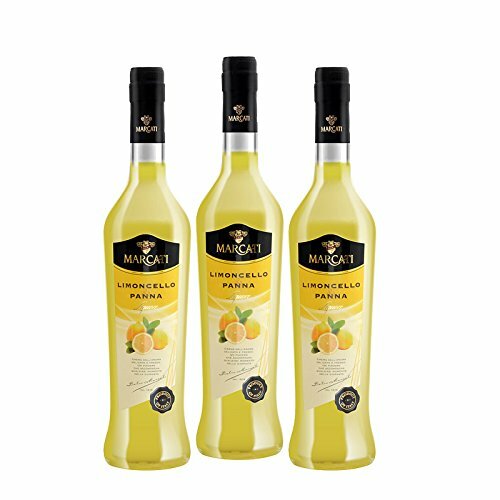 In this fine creamy liquor, the delicacy of both milk and cream meet the great aroma of Limoncello from the Amalfi Coast, produced exclusively with Amalfitano lemons I.G.P. (geographic indication status). To be served cold as dessert. Ingredients: UHT milk, partially skimmed milk, Sugar, Glucose, hydroalcoholic infusion of lemon peel Amalfi Coast I.G.P. (Lemons used 200g/liter finished product). View More In Camp Kitchen. If you have any questions about this product by Marcati, contact us by completing and submitting the form below. If you are looking for a specif part number, please include it with your message.